Investors are always looking for the best ways to diversify their portfolio. At least, the good investors are. One way to diversify your holdings is to invest in silver. Investing in gold and silver can be a great way to differentiate your portfolio and insulate your personal finances from potential market downturns and currency depreciation. Unfortunately, very few investors know how to invest in silver. Find out how to buy silver as an investment in the post below. This way, investors like you can benefit from the stability afforded by silver bullion. Before you ever go out and start investing in silver, you need to know the difference between all the different ways you can buy it. Silver is available in coins and in bullion form. Silver coins are also called numismatics. Silver numismatics are essentially collectable coins made out of silver. Their primary worth comes from the fact that they are collectable coins, rather than the silver they are worth. Silver bullion, on the other hand, is intrinsically valuable because of the silver it contains. Silver bullion value is entirely based on the amount of silver it contains. It has nothing to do with whether or not collectors are interested in buying it later. If you want buy silver investments, you need to know which type of silver investments are the best match for your personal investment goals. Research current market values of silver prior to making investments. You want to know what you should be expecting when you go out in search of bullion silver or silver numismatics. This way, you can better anticipate how much you should be willing to spend. When you are better informed, it is harder to get taken advantage of. You will not overspend on a silver coin that is only worth half of what you bought it for. Make sure to research the current market value per ounce of silver. That way, you will know to run in the opposite direction if anyone tries to charge your more than the market price. You will have a much better experience buying silver if you do this. When it comes to researching the value of silver, you should do so for an extended period of time. Track changes in silver values over the course of a couple months or even a year. This way, you have more market timing information to base your decision to invest on. You can use this time to familiarize yourself with fluctuations in the value of silver and how the precious metals market works. This will enable you to choose the absolute best time to buy silver for the lowest possible investment cost. That way, you can make bigger investment gains on your silver coins over the years. If you want to know how to buy silver at the best time to get the best return on investment, research the precious metals market, and silver in particular, over the course of a couple months or a year. Then, you will be better equipped to make the best investment decision possible. Of course, you will need to find a reputable seller in order to start investing in silver. This is easier said than done. After all, a search engine and website can only tell you so much about a particular silver dealer. Consider using online forums to source reviews and testimonials about silver sellers you are interested in doing business with. Reviews are the best way to ensure the credibility and legitimacy of precious metal sellers you stumble upon, just as they are for mutual funds. You can buy silver online or direct from a dealer. Regardless of which method you prefer, make sure sellers are trustworthy before investing your hard earned cash. Otherwise, you may not have a pleasant experience with your silver investments. There are several different ways you can invest in silver that you should also consider. Silver investments are not confined to just buying silver bars. You can also elect to invest in silver mining companies and other silver-related small cap stock. Or, you can even invest in a silver ETF, or exchange traded fund. These investment options may be more enticing to traditional investors. They could also be used to supplement investments in silver bullion that you plan to make. Regardless, it is wise to consider all your options as you learn how to buy silver to diversify your investment portfolio. 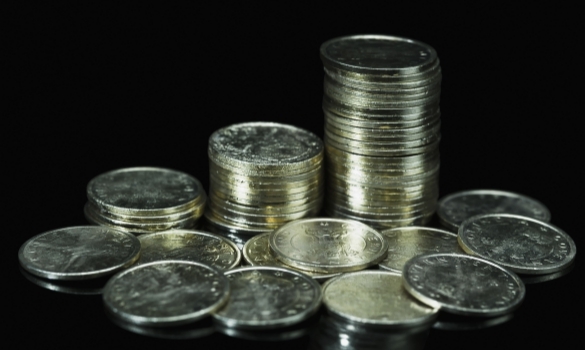 Learning how to buy silver is one of the best ways to differentiate your investment portfolio. That way, you can hedge your bets against currency depreciation and market downturns to protect your assets. Use the guide above to learn how to invest in silver. These steps will help you make informed silver investment decisions that offer you the best return on investment in years to come. Then, you can watch the value of silver, and thus your own personal financial holdings, grow over the course of your time as a precious metals investor.